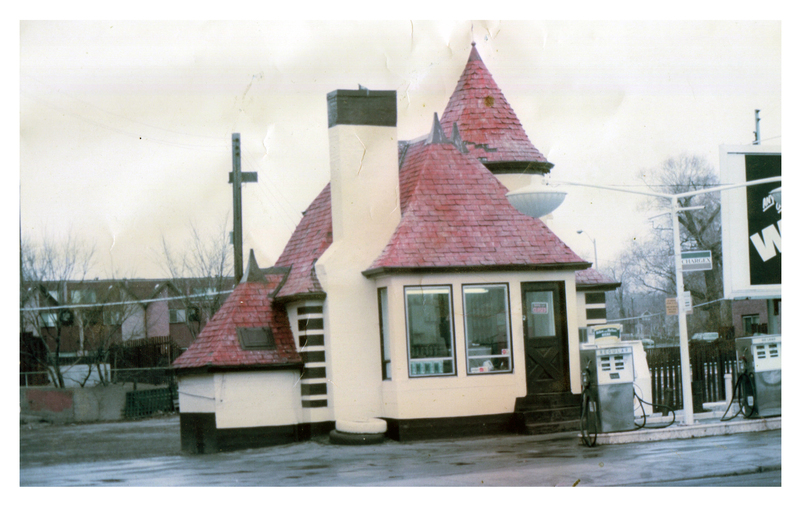 Beach Memories: What do you remember about East Toronto gas stations? This brief history of garages and gas stations in the Beach area requires your participation, dear readers. I’d like you to give me your opinions, recollections, and any pertinent information you may have about the area’s gas stations and garages. Keep this in mind as you read through – I will let you know how to give me your answers at the end of the article. There were over 100 gas stations and garages in our area in the past. These stations were responsible for hundreds of jobs. From one-person operations to companies with dozens of staff in the automobile sector, these garages and gas stations were a great boost to the local community. Every major street, like Queen Street East, Kingston Road, and the Danforth, had these types of shops on the major corners. Did you have a favourite? Do you remember the names of the people who ran any of these operations? What do you remember? I remember quite a few of them myself. Some were large, some were small, some had different types of architectural design. The next question to you dear readers, is this: There is a “garage” located on the northwest corner of Main Street and Kingston Road. In my humble opinion, it is one of the best in the area. What is its name? There were two other gas stations on the corner of Main and Kingston Road. What were the locations, and what were their names? There is a special prize for those who have the correct answer. Part of why I started thinking about gas stations and garages, is because there will be a special car show in Bob Acton Park, 45 William Hancox Ave., on Sunday, Oct. 1 from 10 a.m. to 2 p.m. With free admission, it’s put on by Community Centre 55. For all of you car, gas station, and history buffs, this is your chance. I will be at this car show ready to take any of your comments and evaluations of the Beach and East End’s gas stations and garages. You can also send leave a comment below. Then, stay tuned for more written on the subject – with information from you, dear reader. Gena Domagala is a local historian and the unofficial Mayor of the Beach. I remember the FINA gas station at the corner of Queen/Glenmanor where Swiss Chalet and the condos are now. I used to hang out there as a little kid, pumping gas and cleaning up for no pay, just a subway sub for lunch. On the west side of the Neville Loop was a White Rose Gas Station. The owner for 25 years was Ted Gough who serviced all our extended- family vehicles for two decades. When he retired he sold the property to a developer who built the small plaza that is there now. Don’t know if the names are correct but there used to be BA s/e Wineva and Queen , aTexaco at s/e Hammersmith and Queen , aShell at s/e Glen Manor and Queen and an Esso at s/e Maclean and Queen where I worked after school in the 60s.. Also the gas station that was recently closed at Woodbine and Queen had an older version before the newer one was removed for the upcoming codos.. All those were there in 50s and 60s.